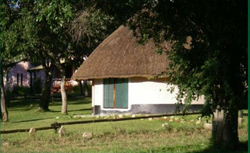 Information on places to stay along the main roads in Mozambique, from South Africa to Vilanculos including Maputo, Inharrime and Inhambane Most stopover accommodation in Mozambique is situated along the EN1 main road that goes from Maputo northwards though Marracuene, Xai Xai, Chidenguele, Inharrime and Inhambane, the road then continues up to Vilanculos and beyond. 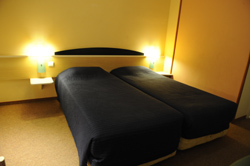 Near the port area of Maputo the Tourismo hotel offers air-conditioned rooms with en suite bathrooms in a simple style. 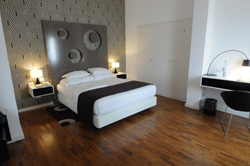 A good Maputo accommodation option for business and budget hotel. A newly renovated and rejuvenated hotel suitable for tourists and business travellers conveniently situated in central Maputo. Banks and ferry port are all within walking distance, and there is a taxi rank nearby. 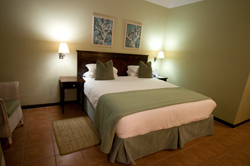 All rooms have an en-suite bathroom and TV. 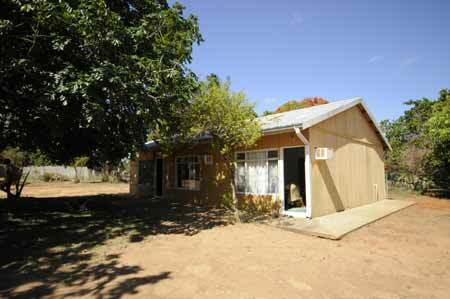 Self contained family units with 2 bedrooms and a bathroom are available, family units sleep up to 4 people. 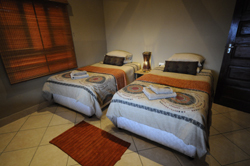 Executive suites with TV in the bedroom and living area are also available. 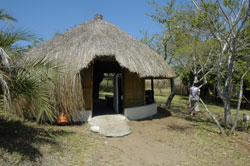 This long standing establishment just north of Maputo is a firm favourite for travellers along the Mozambique highway. A friendly oasis tucked off the EN1 offers camping and a variety of chalet accommodation. 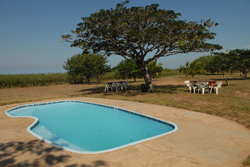 Casa Lisa Price Guide: Prices quoted in Mozambique meticas. Type A ensuite bathroom (1 x double and and 1 single bed): Mt735 per person, Type B ensuite bathroom (1 x double and and 2 single beds): Mt630 per person, Type C private bathroom (4 x single beds) Mt580 per person, Camping: Mt260 per person per night. Breakfast: Mt200 per person, Dinner: Mt400 per person. 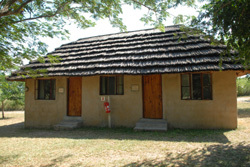 Ideally located just off the main EN1 road 15km south of Xai Xai the Honeypot is a welcome oasis from the heat of the road. 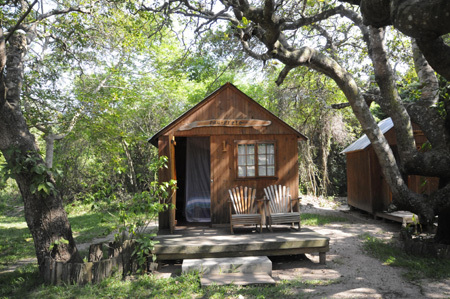 Honeypot offers chalets, self-catering houses and camping. Meals and drink available. Situated next to the EN1 (the North – South road through Mozambique) makes Madeirarte accommodation the most convenient overnight location. We are 12km before Xai-Xai – on the SA border side. These perfectly located, privately owned self catering Villa's are on the first dune, all with 180 degree views of the warm Indian Ocean and only a stones throw from the beach. This location is ideal for your perfect family holiday. 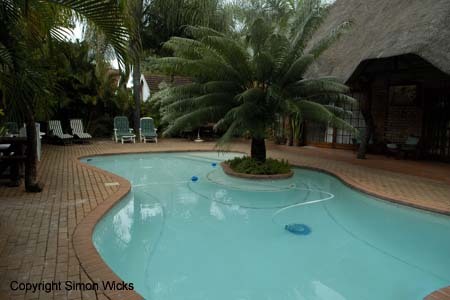 The estate has 24hr guards and boomed access control to ensure a trouble free holiday. With lovely views over deserted beaches, this spot deserves more than a one night stop. The peaceful atmosphere will soon make you forget the rest of the world. 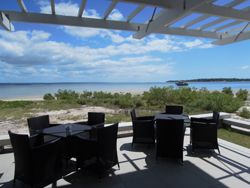 Sunset Beach Resort is situated in Chidenguele, 70 kilometres north of Xai-Xai, in Mozambique. 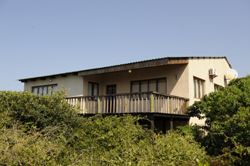 Sunset Beach is primarily a self-catering resort. It is an ideal opportunity for you to experience the colourful scenery, the excellent clean sandy beaches are perfect for swimming, fishing and all sub-aqua activities. Sunset Beach Resort is situated in Chidenguele, north of Xai-Xai in ENI in Mozambique and 335km from the Komatipoort Border gate north of Maputo. Welcome to the Jolly Roger, home of the pirates. 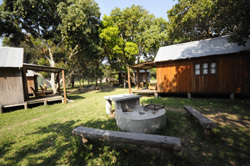 We are the only Overnight Accommodation and Restaurant exactly midway between Maputo and Vilanculos, situated the village of Inharrime, in the Inhambane Province of Mozambique. We Offer good clean Overnight Accommodations, a Bar and a Restaurant where good food and Ice cold Beer and Beverages are served. For the Passer by, who is not really hungry or thirsty but just needs a Clean Serviced Toilet - this would be the place to stop - Here you are at home away from home. 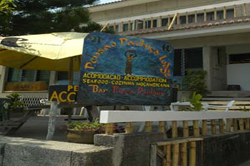 A great friendly place with dorm rooms, double rooms and a restaurant/bar serving fantastic pizza. Whether for the night, exploring the area, business or volunteers the friendly owner can help and advise. Welcome to Hotel Casa Do Capitão, 5 star luxury for the discerning traveler, with sweeping 270 degree views of the Inhambane’s captivating bay. 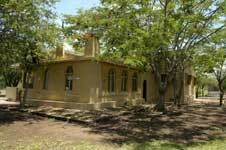 Only a short leisurely stroll into this historical portside town, the 2nd oldest inhabited town in Mozambique. Casa do Capitão, directly translates into ‘House of the Captain’. In touch with nature- Casa Msika offers you a chance to unwind amid tranquil surroundings. Casa Msika is set on the banks of Chicamba Dam in a 550-hectare conservancy in the Manica province of Mozambique and is just 450 km across Zemabbwe Border.